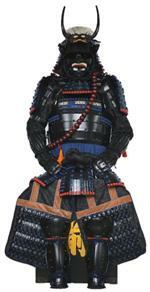 This is one of the most complete lines of Samurai Armor available. 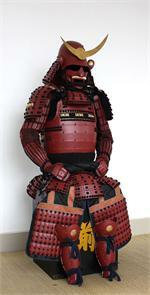 These are fully functional and fully wearable sets of armor that look and feel incredible. 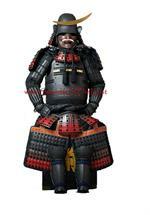 Each Japanese samurai suit of armor is a full sized, fully authentic reproduction of the original Japanese armor and comes with everything you see in the photo, which includes the black lacquered display / storage box and display stand holding the armor. 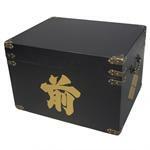 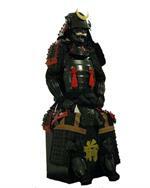 These authentic reproductions are made of iron, steel, leather, silk, cotton, brass and other materials that were traditionaly used dorring the Sengoku era in Japan. 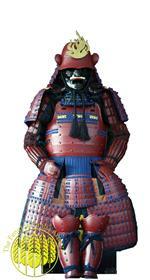 Abosuletly no plastics, rubber, glue or synthetic material are ever used in the armor. 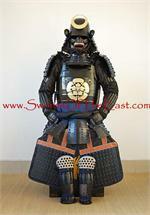 Each armor is full sized, fully functional, combat ready and come pre-fitted for a person who stands between 5' 2" and 6' 3" tall with average body type. 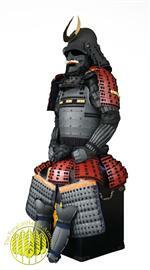 The armor can be easly adjusted for a better fit by the owner. 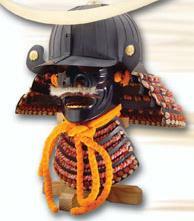 Suites of armor are offered in the following quality ranges: Ashigaru: Foot Soldier – No padding or fittings, fixed nose piece, basic paint, satin & bowl helmet. 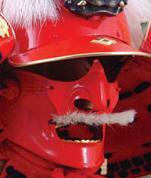 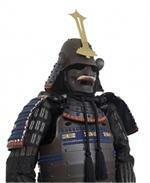 Gashira: Officer – Good paint, padding, detachable nose piece, silk, cotton & bowl helmet. 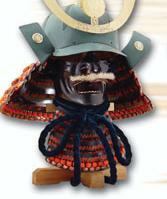 Taisho: Commanding Officer– Highly detailed with extra fittings, padding and laminated helmet. 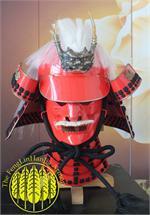 The prices listed are for the top quality range and do include shipping costs. 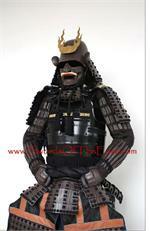 If you want a less expensive suit, we can do a discount for the less expensive quality. 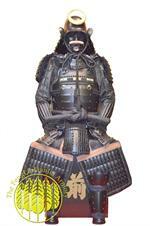 Each Japanese samurai suit of armor is a full sized, fully authentic reproduction of the original Japanese armor and comes with everything you see in the photo, which includes the black lacquered display / storage box and display stand holding the armor. 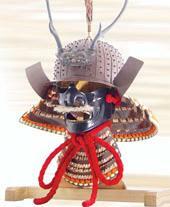 These authentic reproductions are made of iron, steel, leather, silk, cotton, brass and other materials that were traditionaly used dorring the Sengoku era in Japan. 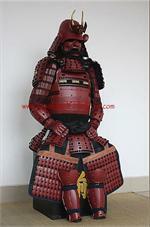 Abosuletly no plastics, rubber, glue or synthetic material are ever used in the armor. 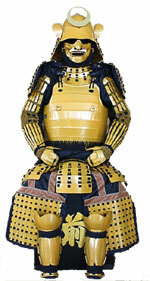 Each armor is full sized, fully functional, combat ready and come pre-fitted for a person who stands between 5' 2" and 6' 3" tall with average body type. 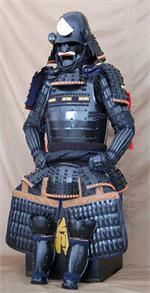 The armor can be easly adjusted for a better fit by the owner. 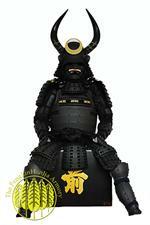 Suites of armor are offered in the following quality ranges: Ashigaru: Foot Soldier – No padding or fittings, fixed nose piece, basic paint, satin & bowl helmet. 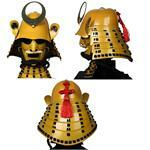 Gashira: Officer – Good paint, padding, detachable nose piece, silk, cotton & bowl helmet. 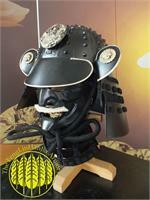 Taisho: Commanding Officer– Highly detailed with extra fittings, padding and laminated helmet. 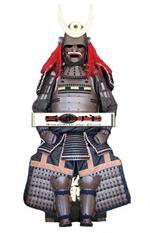 The prices listed are for the top quality range and do include shipping costs. 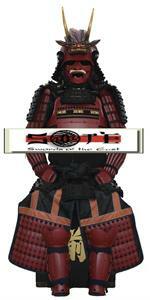 If you want a less expensive suit, we can do a discount for the less expensive quality.